I thought at first I'd be one of those people who would totally abandon my smart phone when I got Glass in the summer of 2013, but I've found Glass is more of a microwave for my phone and not a replacement, at least not yet. Here's why. Glass is to a smart phone what a microwave is to a conventional oven. Glass allows the user to nuke information faster. Instead of the dozen clicks it takes me to awaken my phone, snap a photo and upload it to a social site, Glass can do the same process in less than half the clicks. Because Glass still has to be tethered to my phone, I can't abandon my 'oven' just yet. Here are five ways Explorers could use Google Glass to enhance someone's life. 1. Side load Google Sky Map. Take it to a Nursing Home or Veterans Home and let someone see the stars. If you don't know what 'side load' means, ask a fellow Glass Explorer in a Google Glass Community. 2. Volunteer for a Hero Tour that takes aging and terminally ill veterans to see their memorials. Go to a location a veteran might want to see, join a Google+ Hangout via Glass and walk through their memorial live in real time. 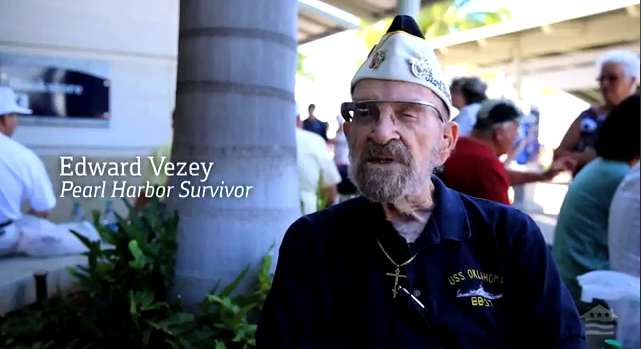 Recently, Veterans United used Google Glass to show Pearl Harbor Survivors the USS Arizona on the anniversary of the attacks. 3. Open a Hangout from your face and invite someone to experience Paris with you via Glass. 4. Volunteer to record a friend's wedding from the audience's perspective, a view the wedding videographer would not have been able to capture. 5. Share it. Glass is the "model T" of wearable computers and people don't yet understand how to drive it. Every time I speak, host an event or teach a class, I wear Glass and allow other individuals to try it on. Most of the people who try on Glass, especially in other countries, have this reaction. 5. +1: Don't be a "Glasshole". If the device is bothersome to people, consider taking it off. Be respectful of other people's privacy. They might not realize every time it's on your face it's not necessarily recording. It's your job to educate them how this wearable works. What other ways are you using Glass for Good?